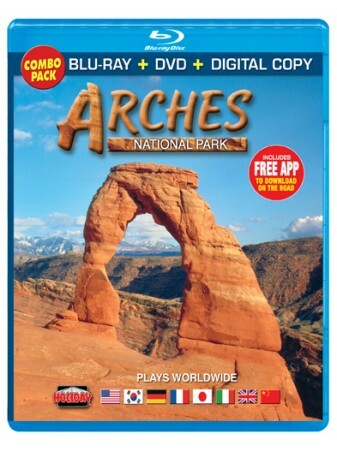 Experience Arches National Park in high-definition with this all-new Blu-ray and DVD, including a Digital Copy for your mobile devices. From the sculpted spans of the Windows Section, to spectacular time-lapse photography of the Fiery Furnace, experience a landscape that not only fuels the imagination but is home to a myriad of unique life forms. BONUS FEATURES - Bonus features explore more of Arches in detail, plus neighboring parks Canyonlands, Natural Bridges and Hovenweep.